Using your credit card to pay taxes may make sense–sometimes. However, there are important considerations to using credit cards for this purpose. Kelly Phillips Erb, a Philadelphia tax lawyer and blogger at “Tax Girl,” recently wrote a great post entitled, “Five Ways to Pay Your Taxes When You Don’t Have Cash.” The first idea is to pay by using credit cards. Paying your taxes with your credit card isn’t always a bad idea. However, it a can be. If you have a large tax problem or you have serious financial problems, it’s best to get advice prior to making decisions about how to deal with any debt–tax or any other kind. There are times when using a credit card to pay your taxes just doesn’t make sense. Let’s say you owe $10,000 for 2009 taxes and that you filed on time (by April 15 or a day or two later if the 15th was a weekend or holiday). Let’s further assume you already have too much credit card debt and that you’re going to file bankruptcy anyway. 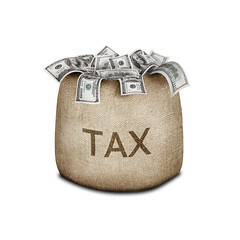 Your 2009 income tax liability would normally be dischargeable in bankruptcy if you wait until after April 15 of 2013. (It meets the 3/2/240 rule–see “Using Bankruptcy to Discharge Tax Debt“). So I’m filing bankruptcy anyway and why bother? It’s more than that. The Bankruptcy Code prohibits debtors from taking out debt when they have no intention of paying it back. “But I DO have an intention of paying it back,” you say. That may be true, but think of how it looks to the credit card issuer or someone else (like the trustee or bankruptcy judge!). If the underlying tax debt is non-dischargeable (let’s say it’s your 2012 liability, not the 2009) if you borrow that money to pay the non-dischargeable tax debt, then the credit card debt would be non-dischargeable as well. So even if you waited a decent amount of time prior to filing bankruptcy, the credit card issuer just might see you used that credit card check to pay the IRS. Paying your taxes with a credit card can make sense, but just keep in mind that your need to view financial problems as a whole, not broken up various parts. And if you think you have financial problems beyond one small problem–say a small tax debt for one year–then get advice prior to taking action.